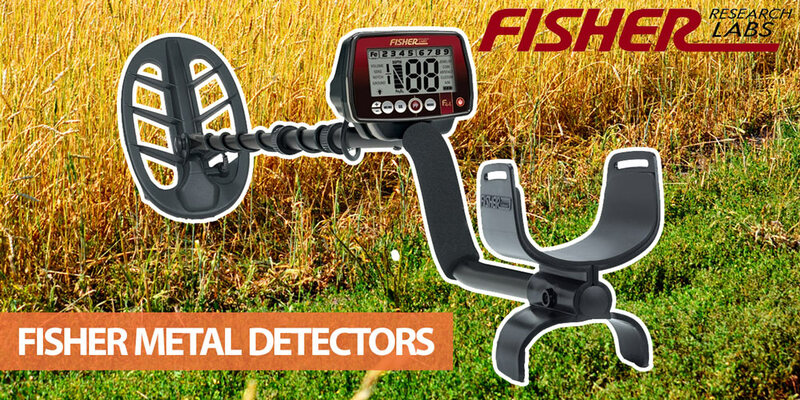 Trying to decide which Fisher metal detector to buy? On this page, I review four of the best Fisher detectors to help you decide the right option for your experience, budget and hunting requirements. Where Can I Find Fisher Detectors for Sale? Fisher Vs Garrett - Which is Better? 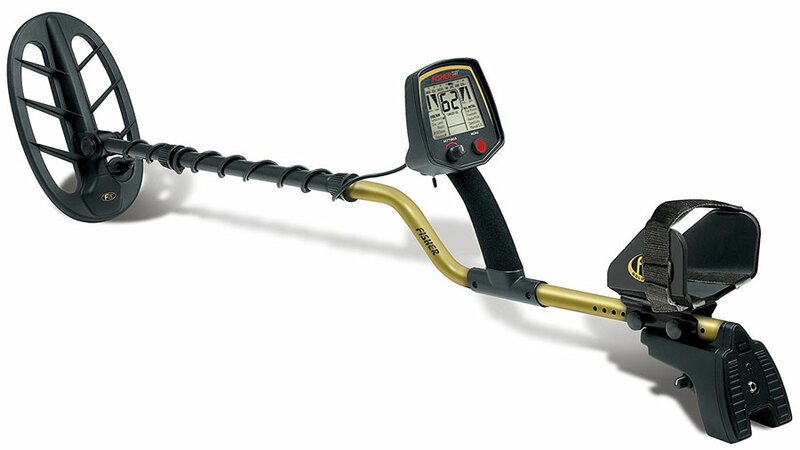 Fisher is one of the most popular metal detector manufacturers. With nearly 90 years of experience, the company consistently builds high-quality and reliable metal detectors. There are many Fisher detectors though, so it's not easy to know which to choose. This is made more difficult by Fisher's somewhat confusing naming scheme. To help you make the right choice, I've put together a list of my top Fisher machines. Fisher makes plenty of other excellent models, but these four stand-out from the rest. Note: Click here to see my list of the best metal detectors from all brands (which includes several Fisher models). Fisher Research Labs was founded in 1931 by a German immigrant called Dr G. Fisher. Dr. Fisher was an inventor and engineer who received the first metal detector patent, making his company the oldest in the metal detecting industry. The first Fisher detector was called the "Metallascope." It was considerably heavier and bulkier than modern machines, but quickly became a popular model amongst geologists, utility companies, law enforcement officers and treasure hunters. Since these humble beginnings, Fisher has released a wide range of popular and increasingly effective metal detectors. The current range includes models such as the F22, F70, F75, CZ-21 Multi-Frequency and 1280-X underwater detector. Fisher Labs manufactures some excellent metal detectors. Their catalog includes purpose-specific machines, such as underwater or gold detectors, along with a range of all-purpose models. Which are the best Fisher detectors though? Let's take a look at my top four picks. If you're looking for an entry-level detector, the Fisher F22 is my top recommendation from any brand. It's an outstanding all-round VLF detector that provides just the right balance between price and functionality, making it a great choice for beginners. Why am I such a big fan though? The F22 has features usually only included with more expensive models. A good example is "Iron Audio," which lets you change the volume of ferrous targets compared to other targets. This makes it easier to avoid digging unwanted items, such as nails or bottle caps. Beginners often underestimate the importance of this feature. Digging a plug takes time, so any function that filters junk is beneficial (assuming it's accurate). There are a variety of other features packed into the F22's digital display. It has both segment and numerical Target ID (1-99), along with three pre-set operation modes (plus a manual option) and 10 levels for sensitivity. There's also notch and pinpoint features. The Target ID function, in particular, is an excellent inclusion for an entry-level model. If you've never used this function, it provides a more accurate guide to the type of target, which helps you avoid duds. Aside from its various functions, the F22 has a fast recovery and can detect down to around 9". It's true that the maximum depth varies depending on soil type, but this is the same for every detector. It's also a lightweight machine. At just 2.3lbs, you can stay in the field a lot longer before getting tired. As you would expect from an entry-level machine, there are some compromises. The F22 isn't waterproof, so it's not suitable for underwater hunting. The 7.69kHz operating frequency is also much too low for gold prospecting - you'll need a high-frequency VLF or pulse induction detector for that. One of the biggest drawbacks is that there's no manual ground balance setting. You won't need this as a beginner, but more advanced detectorists will miss having control over ground balance when hunting in areas with high mineralization. To summarize, the Fisher F22 is easy to use without sacrificing functionality. It provides strong performance for the price, along with features such as Fe-Tone, 1-99 Target ID and four audio tones. 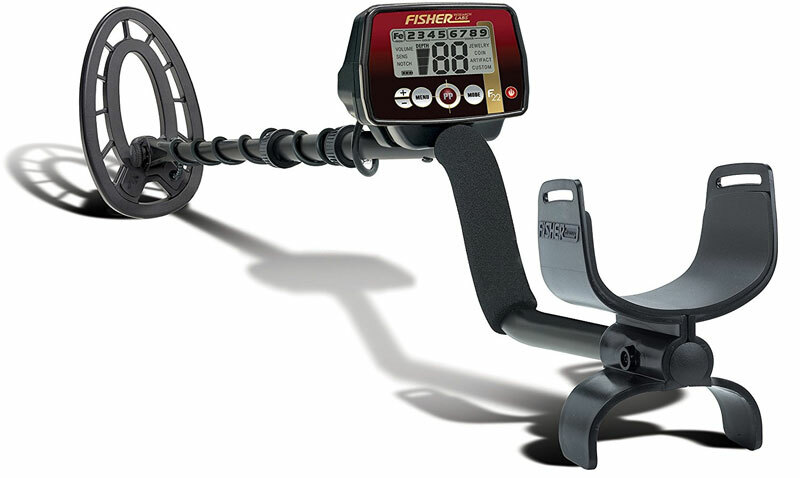 The Fisher F75 is one of the best mid-range metal detectors on the market. It's considerably cheaper than top-end multi-frequency detectors, such as the XP DEUS, yet still comes with all the features you need for serious metal detecting. At its core, the F75 is a 13kHz VLF detector that's perfect for coin and relic hunting. It's not the lightest detector on the market, but the excellent balance makes it comfortable to swing for long sessions. The F75 is great at picking up real targets in areas with lots of iron. This is because Fisher has included a dual-filter discrimination filter, allowing you to ignore iron without missing valuable targets. The result is you can hunt more accurately and at greater depth. Unlike the cheaper F22, the F75 has both automatic and manual ground balance. This gives you complete control when you need it - although the automatic mode does a good job most of the time. Other features include an 11" search coil, which is larger than entry-level machines, and an all-metal mode. It also offers fast response time, a large LCD screen, 2-digit Target ID and an Fe-Tone feature. It's important to understand the F75's limitations though. It's not designed for gold prospecting, nor is it submersible. It's slightly heavier than other models in its price range, although the balanced design makes up for this. When I reviewed this model, I also felt the single-knob operation wasn't as convenient as separate buttons. These are minor complaints though. 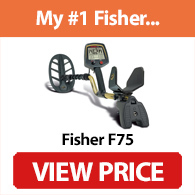 The Fisher F75 is an outstanding detector for jewelry, coins and relic hunting in a wide range of environments. Features such as all-metal mode, notch discrimination, digital shielding and manual ground balance mean it provides excellent value for money. ​To learn more about the F75 and its capabilities, check out my review here. The Gold Bug 2 is an excellent gold detector and is my current #1 pick in this category (click here to view my full list). It's a brilliant detector that lacks the advanced features of newer models, but excels at finding small gold nuggets that most detectors in its price range would miss. What makes it so effective though? Detecting small nuggets requires a higher frequency than relics or coins. The Gold Bug 2 generates 71kHz, so it's highly sensitive to tiny nuggets and flakes. Finding gold can also be a time-consuming process, so a lightweight design is important. The Gold Bug 2 weighs under 3 pounds, so it feels lightweight and easy to swing. The lack of a digital display might put some people off - but it still provides everything you need for gold detecting. The IRON DISC mode and dual-knobs take a bit of practice, but allow for fine tuning depending on the environment. As with all mid-range models, the Gold Bug 2 can't be the best at everything. It isn't as effective at finding deeper nuggets compared to high-end gold detectors - you'll need a pulse induction machine for that. Some people also prefer a digital display so more data is immediately accessible. Even so, the Fisher Gold Bug 2 is an excellent VLF detector for gold hunting. While it lacks advanced features, it's great for finding small nuggets and tiny flakes in shallow ground. Note: An honorable mention goes to the Fisher Gold bug Pro. This is cheaper than the Gold Bug 2, making it a good entry-level option for gold prospecting. Underwater metal detecting opens up a whole new set of potential targets that most detectorists can't access. Diving with a metal detector can be even more exciting - and the Fisher 1280-X Aquanaut is a great choice for this. The key feature of the Aquanaut is that it's usable down to depths of 250 feet. This is 50 feet more than most competing models, so it's a popular choice for serious divers. Unlike many underwater diving detectors, the Aquanaut is a VLF machine with a low 2.4kHz frequency. This provides greater depth compared to higher frequency alternatives. The downside is that it's more likely to suffer from interference when hunting in wet sand, but this can be counteracted with the discrimination and manual ground balance functions. Fisher has included circuitry to ignore small trash items. Digging a plug when diving can be tricky, so extra circuitry to filter bad targets is a welcome addition. It also comes with waterproof headphones, sensitivity setting and a belt mount. Perhaps most importantly, the 1280-X Aquanaut is a true diving detector that doesn't cost a fortune. It can also be tuned for both freshwater and saltwater environments. Fisher detectors are very popular, so you can find them in almost any store with a metal detecting department, including Amazon. There are also many dealers that sell them. There's also the option of buying second-hand from sites such as eBay or Craigslist. As always, if you're buying a used detector make sure it's in good condition, and check whether the warranty will still be valid. If your Fisher detector needs to be repaired, start by checking whether it's covered by the warranty. Detectors such as the F22 have a 5-year warranty, so you may be able to get it repaired. Fisher manuals also include troubleshooting information. Once the detector is out of warranty, you can still contact Fisher about spare parts or repairs, but you'll need to pay. There are also independent metal detector repair services. As I mentioned in my Garrett detector review (see here), this is virtually impossible to answer. Both companies have a range of excellent detectors, so the right option depends on your budget, experience level, requirements and personal taste. I think Fisher has the edge in the entry-level price bracket. The Garrett ACE 250 is an excellent model, but I prefer the Fisher F22. At the mid-level price bracket the winner is less clear, but the AT Pro is probably the winner. Whether you ultimately choose Fisher or Garrett, the most important thing is to check the detector you buy can cope with the type of detecting and environments you need. 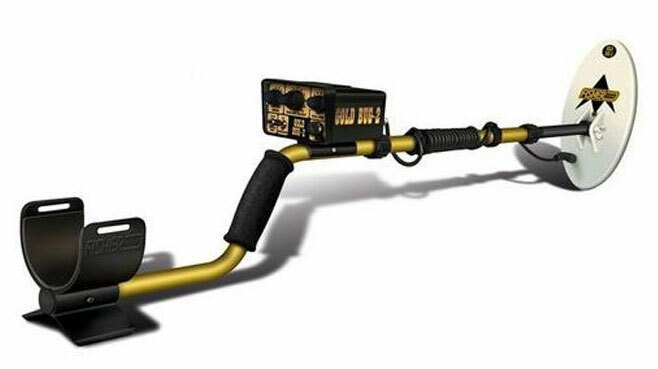 The Fisher range of metal detectors can be overwhelming - especially if you're not sure what type of detector you need. Fortunately, the majority of Fisher's models are excellent, so there's almost certainly a high-quality option that meets your budget and requirements. As I mentioned earlier, the four detectors on this list are certainly not the only Fisher models I think are worth buying. The company's "F Range" includes models like the F44, F75+ and F5, which may be worth considering depending on what you need. If you're not sure which to choose, however, the four Fisher metal detectors on this list are a great place to start. Do you have any questions about Fisher detectors? Please use the comments form below and I'll get back to you as soon as possible.